Phone affordance... for a phone and a door handle. Love the way one affordance can be transfered from one usage to another. 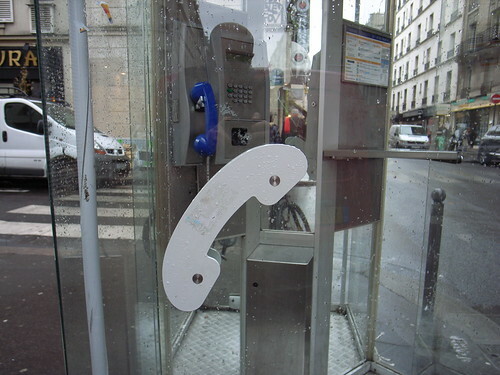 The phone handle as a door handle and signage is an intriguing example.